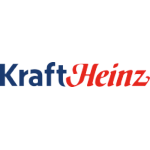 Kraft Heinz | Favorite Foods, Inc. The Kraft Heinz Company is led by a world class Board of Directors and proven business leaders with an unparalleled record for performance. We are committed to investing in world-class brands and long-term value creation. The Kraft Heinz Company has significant synergy opportunities with a strong platform for organic growth in North America, as well as global expansion, by combining Kraft’s brands with Heinz’s international platform. As a socially responsible global food company, The Kraft Heinz Company is committed to reducing our environmental footprint and protecting the planet’s natural resources for future generations. The Kraft Heinz Company is dedicated to the sustainable health of our people, our planet and our Company. Through partnerships with Stop Hunger Now and Feeding America, we have provided more than 2 billion servings of food to those in need.